Our aim was to describe the survival pattern and prognostic predictors of individuals attempting suicide by self-immolation. We performed a cohort study of all self-immolation subjects diagnosed/registered between 1988 and 2004 in the Sina University Hospital of the Tabriz University of Medical Sciences, Tabriz, Iran. Cases were followed from diagnosis/admission to recovery or death. Of 117 cases, 91 died, giving a case fatality rate of 78% (95% CI: 69–84). Most subjects were married (58%), female (78%) and from urban areas (66%). The proportion of subjects surviving to 2 and 6 weeks were 29% and 5%, respectively. Most deaths occurred in the early days after the event. Univariate analysis revealed survival to be significantly lower in subjects with more than 75% burns in the total surface body area (TSBA) (P=0.0001), those with burns in the head and neck (P=0.003), and in the trunk (P=0.004), genital organs (P=0.027), upper limbs (P=0.013) and lower limbs (P=0.0001). No statistical differences in survival were observed by gender, marital status, residence status, tools used for suicide, income, history of family conflict, age or weight. Using the Cox proportional hazard model, cases with more than 75% burns in TSBA (RR=2.6, 95% CI: 1.6–4.3), those with burns in the head and neck (RR=2.5, 95% CI: 1.1–5.2), and those with burns in the lower limbs (RR=5.8, 95% CI: 2.2–14.9) were at higher risk of dying than others. One in ten subjects attempting suicide by self-immolation survives for at least 5 weeks. 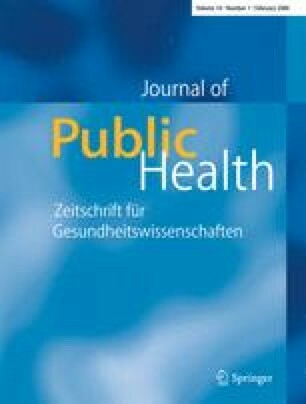 Further epidemiological and qualitative studies are required to determine prognosis more precisely, and to elucidate the public health impacts and socio–economic origins of such tragic events, as well as health care needs and preventive strategies in high risk populations. We are grateful to staff of Sina University Hospital and Miss Raana Ettekal Nafs for assistance in generating the data for this study. This project was sponsored by the National Public Health Management Centre, Tabriz University of Medical Sciences.